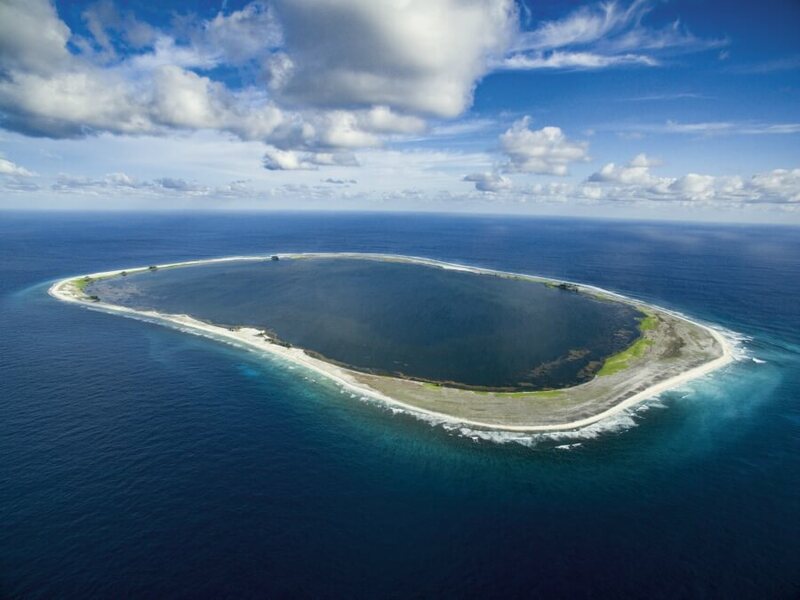 It's widely accepted that more people have scaled Mount Everest than have stepped foot on Clipperton Island, the world's most isolated landmass. The uninhabited atoll sits in a zone known as the ETP, or the Eastern Tropical Zone, approximately 1,100km south of the tip of the Baja Peninsula, on the west coast of Mexico. The nearest landmass is 945km away. But despite its remoteness, the French-owned island and its unique ecosystem are under threat because of illegal commercial fishing and pollution. Its waters are a critical migration corridor for a number of threatened species of shark and pelagic, and several endemic species, on land and underwater, call it home. Earlier this year, Oris announced its sponsorship of The Clipperton Expedition, a 'citizen-science' expedition led by N2Pix, specialized in underwater imagery and expeditions owned by Canadians Michel Labrecque and Julie Ouimet. The Oris-sponsored expedition took a group of scientists and conservationists on the arduous 80-hour journey to Clipperton (it's only accessible by boat) to raise awareness of the vital role Clipperton plays in the migration patterns of these species, to gather data to help develop existing shark migration theories, and to effect lasting change that will preserve Clipperton's ecosystem. 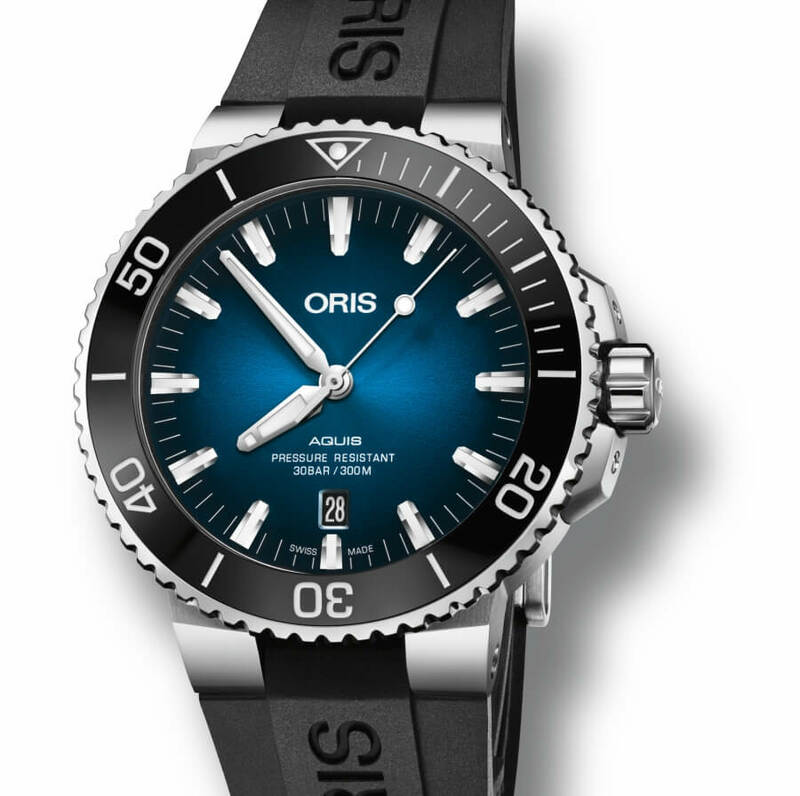 Oris is now following this up with the launch of the Oris Clipperton Limited Edition, a diver's watch based on the brand's Aquis series. A percentage of funds raised by sales of the 2,000 pieces produced will go towards the protection of our ocean in upcoming initiatives. Last year, a French ministerial order created a 12-nautical-mile Marine Protected Area (MPA) around the atoll, but the ambition is to secure an extension of the MPA to 100 nautical miles and UNESCO World Heritage Site status for Clipperton. 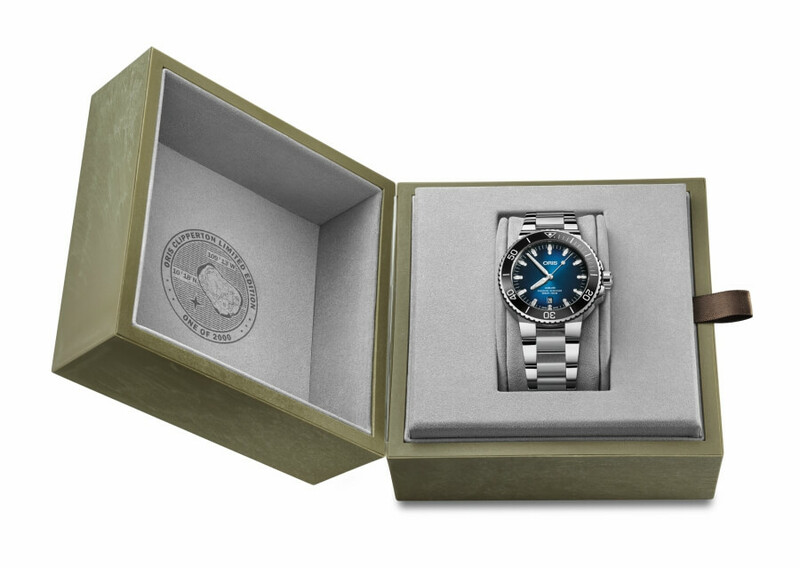 The Oris Clipperton Limited Edition is a fitting tribute to the atoll and to the work of Michel Labrecque and Julie Ouimet. It has a gradient blue dial designed to reflect the colour of the water around the atoll, which drops to 60 metres deep just offshore. The 43.5mm stainless steel case is water-resistant to 30 bar (300 metres) and has a screwed case back embossed with an outline of Clipperton Island and its coordinates. Oris Clipperton is a registered trade mark. 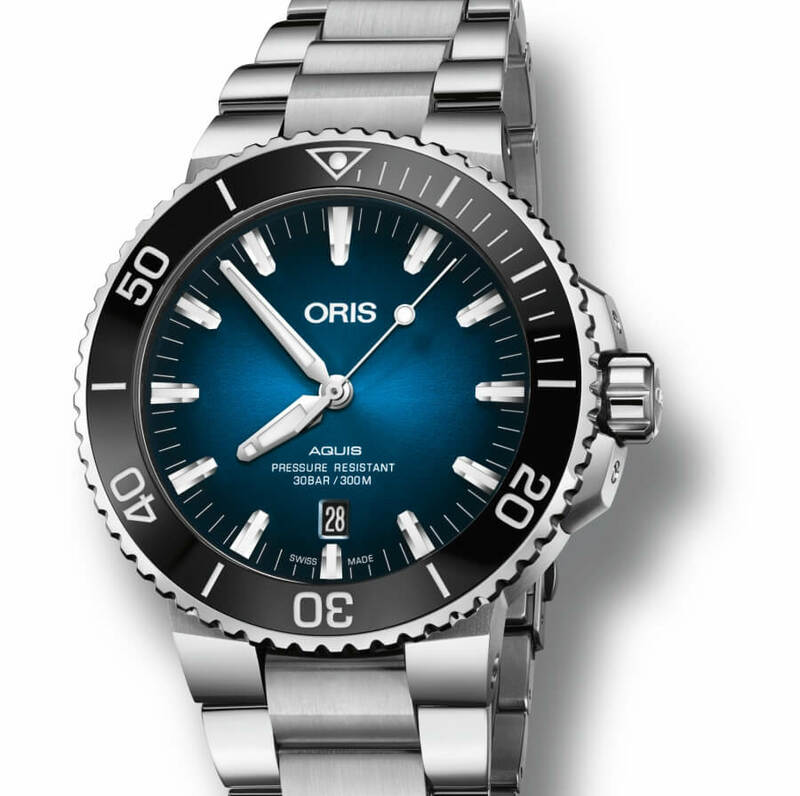 Beyond these features, the watch has the same roster of high-performance functions the Oris Aquis is renowned for. 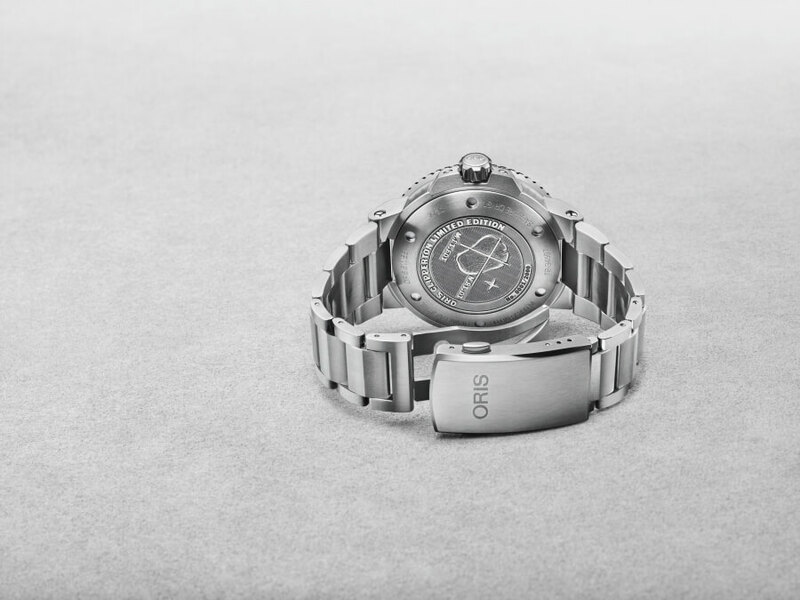 Its automatic movement provides it with a date function and a sweeping seconds hand, which Oris has finished with a 'lollipop' filled with luminescent Super-LumiNova. This is a significant detail - to qualify for diver's watch status, a watch must have a display that shows the running of the watch to indicate to the wearer that their dive timing is accurate. The watch also has a uni-directional rotating bezel with a black ceramic insert with a 60-minute counter. 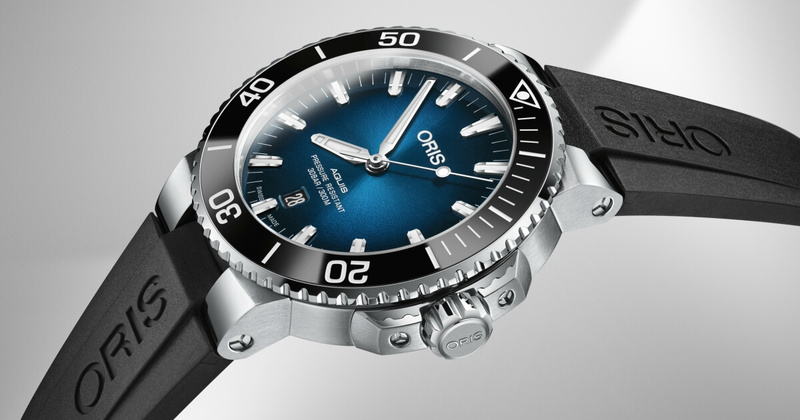 The Oris Clipperton Limited Edition is the next step in Oris's commitment to conserving the world's oceans and to bringing change for the better. It follows limited edition watches made in partnership with the Coral Restoration Foundation and shark conservation programme Pelagios Kakunja.